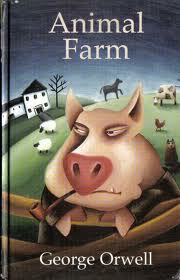 'MLM' The American Dream Made Nightmare: The 'Herbalife' racketeers co-opted Madeleine Albright. 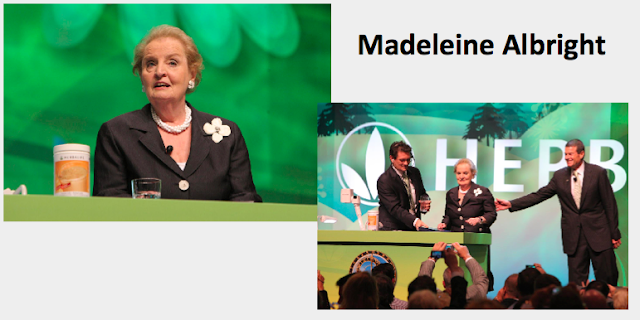 The 'Herbalife' racketeers co-opted Madeleine Albright. More than half a century of quantifiable evidence, proves beyond all reasonable doubt that what has become popularly known as 'Multi-Level Marketing' is nothing more than an absurd, cultic, economic pseudo-science, and that the impressive-sounding made-up term 'MLM,' is, therefore, part of an extensive, thought-stopping, non-traditional jargon which has been developed, and constantly-repeated, by the instigators, and associates, of various, copy-cat, major, and minor, ongoing organized crime groups (hiding behind labyrinths of legally-registered corporate structures) to shut-down the critical, and evaluative, faculties of victims, and of casual observers, in order to perpetrate, and dissimulate, a series of blame-the-victim closed-market swindles or pyramid scams (dressed up as 'legitimate direct selling income opportunites'), and related advance-fee frauds (dressed up as 'legitimate training and motivation, self-betterment, lead generation, programs,' etc.). The overwhelming majority of all the countless millions of ill-informed victims who have been consumed by individual 'Income Opportunity/Prosperity Gospel' cults, have remained silent and passive, and continued (unconsciously) to form part of the overall lie: whilst, as a direct result of the silence and passivity of the overwhelming majority of the ill-informed victims, all casual observers of individual 'Income Opportunity/Prosperity Gospel' cults (including, law enforcement agents, regulators, academics, legislators, judges, journalists, etc.) have also remained silent and passive, and have continued (unconsciously) to form part of the overall lie. Today, it is very difficult to determine exactly how many people in total around the world have already been churned through the pay-through-the-nose-to-play 'MLM Income Opportunity/Prosperity Gospel' cultic game of make-believe, since it was first peddled as reality under the name of 'Nutrilite Inc. /Mytinger and Casselberry Inc.' back in the late 1940s. It is also important to distinguish between short-term and chronic, losing-players. In general, the overwhelming majority of fraud victims never complain, but, right from the outset, the self-perpetuating 'MLM ' lie was maliciously designed to implicate its ill-informed victims - loading them with shame and guilt, and, thus, prevent them from ever facing reality. Classically, the quantifiable evidence proves that, without exception, chronic, losing-players have been subjected to co-ordinated devious techniques of social, and psychological, persuasion designed to shut down their critical, and evaluative, faculties. In this way, they have been conditioned (unconsciously) to think of themselves, not as the victims of a cruel deception or as brainwashed cult adherents, but as 'Independent Business Owners' exercising free-will. What has made external reality even more unacceptable, is the ego-destroying fact that a large proportion of ill-informed victims were deceived by a close friend or relative and, in turn, these new ill-informed victims then deceived, or tried to deceive, their own ill-informed close friends and relatives. The few, destitute, chronic, former losing-players who have managed to recover fully their critical, and evaluative faculties, and who have filed well-informed civil lawsuits against the corporate fronts of 'Income Opportunity' cultic racketeers, have invariably been obliged to settle out of court. Although a number of isolated civil investigations, and successful prosecutions, have been pursued by the Federal Trade Commission against some smaller 'Income Opportunity' front-companies in the USA, no co-ordinated official effort has ever been made to face wider-reality and identify, let alone tackle, the overall criminogenic/cultic phenomenon that has lurked behind all the shielding layers of structural, and pseudo-economic/scientific, mystification, reality-inverting 'commercial' jargon and kitsch capitalist/Utopian/American Dream imagery. Fortunately, the great weakness of all totalitarian groups is that, once you know how they function (by deceiving their adherents into accepting a Utopian fiction as fact), the inflexible reality-inverting reactions of these groups to any challenge to their authenticity, can be predicted with almost 100% accuracy, because they are all compelled to continue to follow essentially the same scenario of control. David Beckham’s spokesman, Simon Oliveira, distanced the former England soccer captain from 'Herbalife.' Oliveira insisted that Beckham had nothing to do with 'Herbalife' personally. 'Herbalife is the LA Galaxy sponsor and David has no direct relationship with them,' he said. 'MLM Income Opportunity/ Prosperity Gospel' cults like 'Herbalife' have been deliberately designed to shut-down the critical and evaluative faculties of not only their victims, but also those of all casual observers. To the average person, celebrity opinion makers, like Madeleine Albright and David Beckham, cannot possibly be associated with a criminal racket, but when you have billions of dollars, it is possible to buy association with just about anyone (particularly, in the USA). Mr. Beckham is a man who, although extremely wealthy and internationally famous, is not exactly noted for his intellectual capacities, but even he has had the gumption to try to distance himself from the 'Herbalife' racket. Before you became associated with 'Herbalife,' exactly what quantifiable evidence did you see which proved that a significant number of people have actually earned an overall net-income lawfully from regularly retailing 'Herbalife' products to the general public for a profit (based on value and demand). 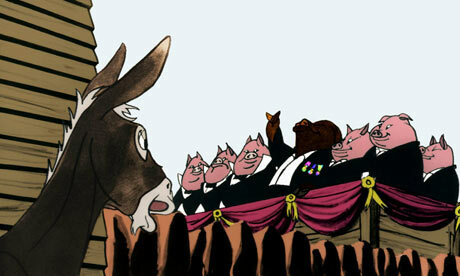 How much profit have 'Herbalife's' pay-through-the-nose-to enter mass-meetings generated over the years? Who has controlled this hidden mountain of cash? Why do unquestioning core-'Herbalife' adherents feel the need to keep paying through-the-nose-to attend, and participate in, what are essentially the same, totally-'positive' Utopian performances, time after time? Do the critical, and evaluative, faculties of persons attending, and participating in, 'Herbalife' mass-meetings, appear to be fully-functioning? 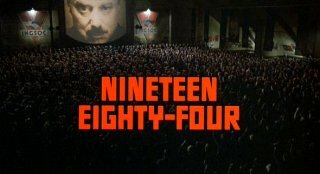 What would happen if anyone attending, and participating in, a 'Herbalife' mass-meeting attempted to show dissent from the group's totally 'positive' Utopian controlling scenario? In recent history, what other centrally-controlled, non-democratic mass-movements (occulted by labyrinths of legally-registered corporate structures) have secretly raised mountains of tax-free cash for their self-appointed sovereign leaders, by obliging their unquestioning adherents to keep buying publications, recordings, tickets to meetings, esoteric accessories, uniforms, badges, etc., on the pretext that, by doing so, they can eventually build, and enter, a future, exclusive, secure Utopian existence? Could the 'Herbalife' racketeers use their paid-association with me (Madeleine Albright) to try to give the appearance of association with other (even-more influential) persons? As a former high-ranking member of the US government and public servant (particularly, one who has represented the people of the USA internationally), shouldn't I always exercise the utmost caution before entering into any commercial arrangement in which not only my name and reputation, but also the name and reputation of the US government, might possibly be used to facilitate the committing of criminal acts? During the last 6 years, Madeleine Albright's company , 'Albright Stonebridge Group,' has received approximately ten millions dollars from a gang of blame the victim 'MLM income opportunity' cultic racketeers. In return for this pile of stolen cash, Ms. Albright has betrayed every single value that she (and her late father) ever claimed to have stood for, by enthusiastically participating in committing fraud and obstructing justice. 'Herbalife's' most-useful idiot, Madeleine Albright, and her associates, can have absolutely no moral or intellectual justification for holding onto the ten millions pieces of silver they have received from the bosses of the 'Herbalife' racket. Ms. Albright's only possible ecape from this shameful situation, will be silence or a limp claim of ignorance. However, if, after being confronted with reality, Ms. Albright still insists that 'Herbalife/MLM' has been an entirely lawful enterprise and that she has done no wrong, then she too should be personally held to account. 'The Hague Institute for Global Justice is an independent, nonpartisan organization established to conduct interdisciplinary policy-relevant research, develop practitioner tools, and convene experts, practitioners and policymakers to facilitate knowledge sharing. Through this work the Institute aims to contribute to, and further strengthen, the global framework for preventing and resolving conflict and promoting international peace. Madeleine K. Albright is Chair of Albright Stonebridge Group, a global strategy firm, and Chair of Albright Capital Management LLC, an investment advisory firm focused on emerging markets. Dr Albright was the 64th Secretary of State of the United States. In 1997, she was named the first female Secretary of State and became, at that time, the highest ranking woman in the history of the U.S. government. From 1993 to 1997, Dr Albright served as the U.S. Permanent Representative to the United Nations and was a member of the President’s Cabinet. She is a Professor in the Practice of Diplomacy at the Georgetown University School of Foreign Service. Dr Albright chairs both the National Democratic Institute for International Affairs and the Pew Global Attitudes Project and serves as President of the Harry S. Truman Scholarship Foundation. She also serves on the Boards of the Council on Foreign Relations, the Aspen Institute and the Center for a New American Security. The latest, predictable move by the 'Herbalife' Ministry of Truth, is the creation of a kitsch, new Website which serves up a veritable feast of reality-inverting Utopian 'MLM' propaganda; all of which has been designed to obstruct justice in order to continue to commit fraud. Here are the actual testimonies of just some of these financial dreamers. I've always admired Madeleine Albright. I read this and immediately thought it can't be true, but then I checked your links and it is all true. Anonymous - Are you sayng that you initially thought I'd faked the photos? David believe me, I'm genuinely stunned and angry. Of course I looked at the photos, but even those didn't register. I thought no it can't be true, Madeleine Albright of all people would never promote 'MLM.' Then I clicked on your link to the NY Post and watched the videos. I want to thank-you for opening my eyes. 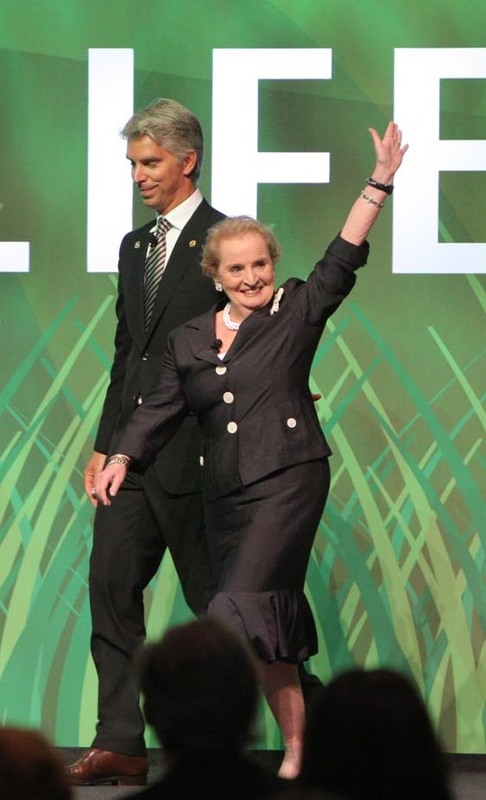 Perhaps you (or any other reader) would like to write to, or even call, Madeleine Albright and tell her what you really think of her 'Herbalife' activities. Don't forget to remind Ms. Albright that I'm still waiting for her to answer my common-sense questions. Thanks for the contact info and great idea. I will definitely email Ms. Albright about her Herbalife association. If you are interested Judy, I got an even better address for complaining about Ms. Albright - one where something might actually be done. Who would have believed Becks has more brains that Albright? 'Seeking Omega' - It think it's more a question of who has the most common-sense. That said, it does appear that it was David Beckham's advisors who attempted to distance their boy from 'Herbalife,' but perhaps it was also Beckham himself. To give him his due, Beckham doesn't seem to have fallen for his own media image and, coming from an ordinary background, he probably is blessed with common-sense. I suppose Beckham's people may have also advised him to cool it on the friendship with Scientologist Tom Cruise? Perhaps? If Beckham does now realize the unsavory nature of his past associations, I suppose it's too much to hope for that he would actually speak out about it. That'll likely never happen. Thanks Judy - Like Ms. Albright, even if (by some miracle) he wanted to, I don't think Becks would be able to tell the truth publicly, because of his contractual obligations. If Beckham turned on a big sponsor, apart from getting sued, all his other sponsors would probably drop him like a stone, and Posh wouldn't be too thrilled either. Being an international celebrity these days, has many elements of the Faustian Bargain with the Devil. David, I've come to your Blog after reading your insightful comment on 'Seeking Alpha' concerning Madeleine Albright. ...possibly one of the most-underestimated risks to the continued survival of the chapter of the pernicious 'MLM income opportunity' fairy story entitled 'Herbalife', would be Madeleine Albright suddenly confronting reality and publicly admitting that she too was temporarily bedazzled. The amount of mainstream media attention that would attract, would make it effectively impossible for the 'Herbalife' fairy story to find any new, ill-informed customers. David - I was at the Sussex county cricket ground the other day and was amazed to see Herbalife advertising. This is from the Sussex Cricket Club website. Sussex County Cricket Club has announced Herbalife as the new sponsor of their South-West Stand, and it will now simply be known as ‘The Herbalife Stand’. Herbalife has been Sussex County Cricket Club’s Official Nutrition Partner for the past twelve months and has increased their involvement with the Club by sponsoring the stand which is now fully open for the new season. With the Sussex CCC Club Shop and Newbery housed in the rear of the stand, there is a completely new look to visitors who enter The PROBIZ County Ground from Eaton Road. The company has signed a three-year deal with Sussex and can look forward to the new 1,700 seat structure being known as The Herbalife Stand until at least the end of the 2014 season. Gavin Aley, Herbalife Country Director UK and Ireland said, “Herbalife is absolutely delighted to be the Official Nutrition Partner of Sussex CCC. Our first season was a huge success for both parties, especially as the Sussex players love using our products and have reaped the benefits of our leading edge Herbalife 24 Sports range. Trevor Mould, Sussex’s Communications and Marketing Manager, said, “We’ve had an excellent relationship with Herbalife since they first got involved with the Club and the feedback from the players regarding their products has been excellent. “We can now look forward to welcoming Herbalife’s representatives and clients to The PROBIZ County Ground far more often and we’re extremely grateful for their continued support of the Club. They’ll certainly be able to bag a great view of the action from The Herbalife Stand! Thank-you - Anonymous, I was aware of this and of other 'Herbalife' sponsorship in the UK. The 'Herbalife' bosses seem to have gone for relatively small professional sports clubs in Britain. Their officials appear to have been easily seduced by 'Herbalife's' multi-million dollar association with LA Galaxy and Barcelona FC. In reality, Sussex County Cricket Club has been infiltrated, and deceived, by the agents of cultic racketers waving wads of stolen money and pretending affinity. Anonymous - an interesting footnote to 'Herbalife's' connection with Sussex is that the current CEO of Sussex, and the club's former Commercial Director, is Zac Toumazi, who has previously held high-level positions in Goldman Sachs and Saloman Bros.
ha You cannot change your destination overnight, but you can change your direction overnight. Даниель - This quotation is ambiguous drivel worthy of a lazy adolescent. Therefore, I can only presume that you are sniggering at Mr. Rohn's child-like lack of command of the English language?